Thanks for a great Assembly! That’s right, we’re thanking you because every part of Sunday Assembly only works if we have people to share in it with us. You can Subscribe to all our events by going to Events in the middle, and then Subscribe. We don’t actually have any of our own events running between now and the next assembly, but we hope you all enjoy the start of spring and Easter! Instead, we though we would advertise a few events organised by others which are happening in Bristol before our next assembly. A brisk 90 minute walk passing some amazing tree sculptures! If you’d like a coffee first, meet at Cafe Retreat 10.30 am onwards and look for Jeff, (the Walk Leader), who will be wearing a yellow hi-vis vest. Otherwise meet Jeff and co-host Roy, outside the cafe at 10.45 am onwards, ready to start the walk at 11.00 am. The walk finishes near the cafe around 12.45 pm. Optional refreshments and lunch at the cafe, or the nearby Port of Call pub. The Meetup event for the walk can be found here. Apologies for the error in the date and time stated at the assembly for this event! Bricking-It is a homegrown project which seeks to raise awareness about the amount of plastic that is thrown away by households by encouraging people to make ecobricks with all the plastic they don’t recycle. Ecobricks are means for individuals to take personal responsibility for their plastic by containing it and turning it into free building materials that can be given back to the local community. Not only do ecobricks stop plastics finding their way into landfill or the ocean, but also reduce the energy it would take to transport or ship them elsewhere. In this workshop you will learn how to make eco-bricks and how to build with them! The Women Who Built Bristol – ‘Women in the School of Physics’ Group and the Chaos Women’s Network – Wednesday 1st May, 6pm @ Bristol University The Women Who Built Bristol by Jane Duffus was published to mark 100 years since (some) women achieved the vote and she will be talking about this at Bristol University on Wednesday 1st May.Containing 250 inspiring women, three sheroic dogs and one heartbroken barmaid from Easton, The Women Who Built Bristol is a bursting compendium of brilliant women who helped to shape Bristol into the vibrant city it is today. From pin makers to police chiefs, from workhouse inmates to lord mayors, this book shows that Bristol was built by women and particularly seeks to celebrate those women whose names have fallen through the cracks of history. Spaces for the event can be reserved on Eventbrite here. The next assembly we have is our May assembly where we have Mary Tutaev coming to give us a fantastic taster session of Death Café, which is a movement of regional groups where death is discussed openly with no agenda, objectives or themes. It will be on Sunday 5th May at 10:45am at the Trinity Centre, which can be found at Trinity Rd, Bristol, BS2 0NW. The Facebook event can be found here, and the Meetup event can be found here! We’re always looking for volunteers, so if you’ve just learnt a new song on an instrument or fancy reading something personal in front of a great friendly crowd, just email us at hello@sabristol.org.uk or message us via your favourite social media platform. April Assembly – Celebrate Spring! As the days start getting lighter and the first trees start to blossom, it’s hard not to get a little bit excited that spring has finally sprung! Marking the changing of the seasons is common place across time and cultures, but what does spring mean for you? This month we welcome Chrissie and Nick from Bristol Humanists who will be exploring this topic, from the meaning of rituals and traditions to the human experience of life, death and renewal. Come along and celebrate the new season with us with singing, socialising and cake! and if you like Meetup, check out the event here. As always, we’ll be having a pub social at the Old Market Tavern afterwards, with food and drink. There are even some board games for all ages available at the pub! We’ll see you at about 10:45 for an 11:00 start at the Trinity Centre. We’ve set up a chair for you already. Thanks for an amazing assembly! It’s a very laid back meeting, all you need to do is turn up! Some of us will be getting lunch at the pub too so feel free to join us for food if you’re feeling hungry. If you like Meetup, check out the event here. The next assembly we have is our April assembly where we have Chrissie and Nick from Bristol Humanists coming to speak to us – keep an eye out for further information about the theme and content closer to the time! It will be on Sunday 7th April at 10:45am at the Trinity Centre, which can be found at Trinity Rd, Bristol, BS2 0NW. Don’t forget, it’s that time of the month again – Sunday Assembly Bristol is THIS SUNDAY! For our March assembly, we’ve rearranged the fantastic talk we had originally scheduled for February! We have the brilliant Professor Havi Carel coming to talk to us about phenomenology of illness – how illness modifies an ill person’s body, values, and world. We also have our usual assortment of excitement (songs, readings, trying your best, tea and cake), so come along and join in the fun! We’ll see you at about 10:45 for an 11:00 start at the Trinity Centre. We’ve set up a chair for you already. A friendly, free group walk open to all. We’re going to walk around Ebbor Gorge, near Wookey Hole, with some pretty impressive gorgery and views across the Somerset Levels. The walk will take about two to three hours and has some short but steep climbs and muddy spots. There is a lovely viewpoint and we can finish with a visit to the Queen Vic in Priddy should we wish. The next assembly we have is our March assembly where we have our rescheduled speaker from February, Professor Havi Carel, talking about Phenomenology of Illness, as she was unfortunately under the weather this month! It will be on the 3rd March (Sunday) at the time of 11:00. The address is still the Trinity Centre, which can be found at Trinity Rd, Bristol BS2 0NW. We’re always looking for volunteers, so if you’ve just learnt a new song on an instrument or fancy reading something personal in front of a great friendly crowd, just reply to this email. Sunday 3rd February, 10:45 @ Trinity Centre Hello assemblers! Our February assembly is tomorrow (sorry for the late notice)! There’s a slight change to our February assembly as unfortunately our arranged speaker is actually feeling quite ‘under the weather’ and so we will be shaking things up a bit with a last minute speaker change! Come along for a little bit of mystery (here’s a hint – it’s weather related)! As always, we’ll be having a spot of lunch at the Old Market Tavern afterwards. Thanks for a top banana (fantastic) assembly! We’re going to have a Sunday Assembly social catch up between the main assemblies, to give us a chance to get together and hang out even more! This social is a chance for a drink, chat, cake, craft, games, or whatever else people fancy! 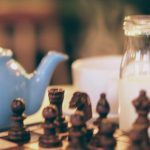 Alice will be there – feel free to join whenever you want to. The next assembly we have is our February assembly where we have Professor Havi Carel coming to talk to us about phenomenology of illness – how illness modifies an ill person’s body, values, and world! It will be on Sunday 3rd February, at 11:00. The address is still the Trinity Centre, which can be found at Trinity Rd, Bristol, BS2 0NW. Sunday 6th January, 10:45 @ Trinity Centre Do you ever find yourself throwing away old bananas you never got around to eating? Do you want to find out more about how we might waste food we could actually be using?Come along to our first assembly of 2019, where we have Heather Mack coming to talk to us about food waste and sustainability, in particular, bananas. We’re even going to be making some delicious banana based treats together!We also have our usual assortment of excitement (songs, readings, trying your best, tea and cake), so come along and join in the fun! As always, we’ll be having our pub social after the assembly at the Old Market Tavern afterwards. Check out the Facebook event here and the Meetup event here. Thanks for helping us out – here’s what’s coming up! That’s right, we’re thanking you because every part of Sunday Assembly only works if we have people to share in it with us. We especially want to thank everyone who took part in the research on secular assemblies – we will share the results once the research is complete! The next assembly we have is our January assembly, the first of 2019! It will be on the 6th January (Sunday) at the time of 11:00. The address is still the Trinity Centre, which can be found at Trinity Rd, Bristol BS2 0NW. Keep an eye out on social media and emails for updates on the theme and speaker for January! It’s the prime time to learn about number theory! Maths is often seen as a bunch of rules to follow so to find the right answers. But often mathematicians make up new rules and explore new world that emerges from those rules. In our talk this month, Florian Bouyer is going to take us back to the basics and define addition again, but in two new unexpected ways. This introduction to number theory will lead us into the world of cryptography: how do you communicate with your bank on-line with the knowledge no one else can steal your information? If you can turn up a little early (10:30-10:45ish), some special guests at our next assembly would like your help! Researchers from Coventry University, in collaboration with the University of Oxford, are conducting research on the effects of taking part in Sunday Assemblies on members who attend. If you would like to take part in this research, please arrive 15-30 minutes before the assembly starts so that they have time to explain the study and conduct the pre-Assembly questionnaire. We’ll see you at about 10:45 for an 11:00 start at the Trinity Centre, or 10:30 if you want to take part in some exciting research! We’ve set up a chair for you already. Thanks for sharing cake with us! The next assembly we have is our December assembly where we have Florian Bouyer coming to tell us how number theory is keeping our bank details and emails secure! We’ll also have our usual selection of songs, a reading, trying your best and, of course, cake. It will be on the 2nd December (Sunday) at the time of 11:00. However, if you can turn up a little early (10:30-10:45ish), some special guests at our next assembly would like your help! The address is still the Trinity Centre, which can be found at Trinity Rd, Bristol BS2 0NW. This Sunday, we’re going to be hearing about a subject very close to all of our hearts, and for many people, the entire reason they come to Sunday Assembly Bristol… That’s right, we finally have an assembly about CAKE! PLEASE NOTE: There is no parking at the Trinity Centre this month due to their fireworks display for bonfire night, but there is plenty of free parking on the streets nearby, including Old Market Street. Thanks for a great October Assembly! Note that this is at a revised time of 12:00! Sunday Assembly Bristol is going to be doing it’s second festival this year! This time, we’re taking part in the Wild & Well festival in Bristol on Sunday 21st October. 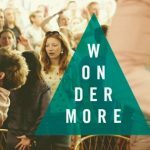 Wild & Well is a new style of wellbeing festival for anyone who wants to live in a healthier, happier, more connected way. The festival aims to promote wellbeing with its four different strands based on various locations across Bristol: Move, Eat, Connect and Explore. The next assembly we have is our November assembly where we have Rachel Buchanan coming to talk about Sunday Assembly Bristol’s favourite topic, CAKE!!! 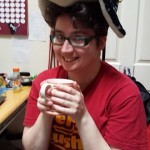 In particular Rachel will be talking about how cake is used in ritual. This month in particular would be an appropriate time to showcase your fantastic baking skills! It will be on Sunday 4th November at the time of 11:00. We will be back at our usual venue of the Trinity Centre, which can be found at Trinity Rd, Bristol BS2 0NW. This month we have Bex Band coming to talk to us about How To Achieve Impossible – she’s going to be telling us about her epic adventure to travel the length of the USA on a kick scooter! We also have our usual assortment of excitement (songs, readings, tea and cake), so come along and join in the fun! REMEMBER our assembly this week is NOT at the Trinity Centre, and is instead at HAMILTON HOUSE in Stokes Croft, Bristol. We’ll see you at about 10:45 for an 11:00 start at the Hamilton House. We’ve set up a chair for you already. Thanks for making connections with us! We’d also like to extend our thanks and congratulations to everyone who has taken on a more active role in Sunday Assembly Bristol following our AGM at the weekend – this will be discussed at the Chat and Plan and further details of the AGM output will follow soon! The next assembly we have is our October assembly, which will be on 7th October at 11:00am, NOT at the Trinity Centre, but at HAMILTON HOUSE (Stokes Croft, Bristol) for ONE MONTH ONLY. We will have the fantastic Bex Band coming to talk about her amazing feat to kick-scoot the length of the USA! We will also have the usual delights of songs, readings, someone trying their best and, of course, cake! Thanks for a fantastic weekend of assemblies! Thanks for a great Assembly filled weekend! If you like Facebook, check out the event here. We will also be discussing the roles we will be seeking to fill at our Annual General Meeting in September, which you can find out more information about below. The next assembly we have is our September assembly – the theme is currently a mystery, as we’ve yet to pin down the finer details. If you like surprises, come along and enjoy our mystery assembly. If you don’t like surprises, come along anyway (as we’ll still send you the details beforehand as usual)! It will be on the 2nd of September (Sunday) at the time of 11:00. The address is still the Trinity Centre, which can be found at Trinity Rd, Bristol, BS2 0NW. It’s that time of year again for our Awesome (Annual) General Meeting. Hopefully you can join us after the September assembly to have your say and vote on critical and exciting Sunday Assembly Bristol matters, including putting yourself forward for a position as one of our amazing organisers! Details of the roles up for grabs, such as Chair, Secretary, Treasurer and more, can be found here. All of the roles are open to anyone – people can hold more than one role, or one role can be shared between multiple people – whatever works to keep Sunday Assembly Bristol as amazing as it is (or to make it even better)! If you’re interested in getting involved with organising, or would like some further information on our roles, just reply to this email, or contact us via any of the social media channels mentioned at the start of this email. Two Assemblies THIS WEEKEND (and advance sight of AGM roles)! …ALSO AN ADVANCE LINK TO OUR ORGANISING ROLES FOR OUR AGM! That’s right – this month, we’re going to be doing our August assembly not once, but twice! As well as our usual assembly on Sunday at the Trinity Centre, we’ll also be putting on an amazing show at Fieldview Festival on Saturday morning! If you like Meetup, check out the Fieldview event here, and the Trinity event here. Don’t worry about missing out if you haven’t got tickets to Fieldview this year, as we’re repeating the same assembly for both events, so no one misses out on what promises to be a brilliant event. We have the fantastic Dr Clara Montgomery coming to talk to us about Beeing Positive (though probably not in the way you expect). We’ve also got a variety of bee themed puns, songs, and so much more lined up! As always, after our assembly at the Trinity Centre on Sunday, we’ll be having a spot of lunch at the Old Market Tavern. One final notice for you all – in addition to reminding you about our fantastic events coming up this weekend, we also wanted to let you know that we’ll be having our Awesome (annual) General Meeting in the Old Market Tavern after our September Assembly, where we discuss all things Sunday Assembly Bristol related and vote organisers into their various roles. The awesome roles which we will be aiming to fill in September can be found here – we’re looking for as many people as possible to get involved, so if you’re interested in helping out Sunday Assembly Bristol by volunteering as one of our organisers (which we just know you are!) then just reply to this email letting us know, or asking any questions you have about becoming an organiser! We’d love to have you on board! We’ll see some of you on Saturday at 10:45 at Fieldview, and the rest on Sunday at 10:45 for an 11:00 start at the Trinity Centre! Here’s what’s coming up this month! It’s Sunday Assembly Bristol’s premiere at a festival in August! 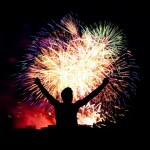 Fieldview Festival is a non-profit, grass roots, weekend of happiness and adventures. Run by volunteers, surplus funds go to charities and causes they love and believe in. If you’re planning to attend Fieldview Festival, please pop along and check out our assembly whilst you’re there 🙂 Tickets can be found on their website here for those of you interested! We’re always looking for people to help out with our events, so if you you’d be able to help, let us know – you’ll also get to enjoy the rest of the festival for free! Here are some videos to get you looking forward to it! We have Clara Montgomery talking to us about the positive charge of bees, as well as our usual fun selection of songs, readings and cakes. It will be on the 5th of August (Sunday) at the time of 11:00. The address is still the Trinity Centre, which can be found at Trinity Rd, Bristol BS2 0NW. We’re always looking for volunteers for future assemblies, so if you’ve just learnt a new song on an instrument or fancy reading something personal in front of a great friendly crowd, just reply to this email. Thank-you for another great assembly! It’ll be about 6 miles long and may be a touch hilly in parts. As this one is a bit further away, if anyone is planning to drive and willing to offer lifts, please make yourselves known. Likewise if you’d like a lift, please make that known too. The full details of this walk are still being fine-tuned so keep an eye out on the event pages for further updates! The date, time, and general route are fixed though! The next assembly we have is our July Assembly, on the theme of ‘See Through Disability’. It will be on the 1st of July (Sunday) at the time of 11:00. The address is still the Trinity Centre, which can be found at Trinity Rd, Bristol BS2 0NW. This Sunday we’re having round two of our Penguin Conservation assembly – any keen members may notice this has been rescheduled from December! We have the excellent Dr Ali Cotton coming to talk to us about penguins and how they need our help! We will also have our usual selection of songs, tea, cake and mingling to make your Sunday morning the best of the month! This month, we’ll be having our Chat and Plan at the Old Market Tavern (the same pub we visit each month after the assembly when at Trinity). Join us to discuss all things Sunday Assembly, get involved and help out with the running of Sunday Assembly Bristol (hint hint, we’d love more help! ), or just listen and get a better idea of how everything works, and possibly a sneak preview of future assemblies! and if you like Meetup, check out the Meetup event here. The next assembly we have is our June assembly, where we have Dr. Ali Cotton coming to talk to us about Penguin Conservation (the keen among you will notice this talk has been rearranged from a previous assembly). It will be on the 3rd of June (Sunday) at the time of 11:00. The address is still the Trinity Centre, which can be found at Trinity Rd, Bristol, BS2 0NW. Thanks for another great assembly – despite a different location! That’s right, we’re thanking you because every part of Sunday Assembly only works if we have people to share in it with us. This month, we’re sending you extra thanks for coming along on a different date and at a different venue, and making our assembly such a success. We will be back at the Trinity Centre for the May Assembly. The next assembly we have is our May assembly, with Matt Dunn coming to talk to us about “What We Miss”, discussing the differences in human perception. Make sure you don’t miss out! It will be on the 6th May (Sunday) at the time of 11:00. The address is still the Trinity Centre, which can be found at Trinity Rd, Bristol, BS2 0NW. The next assembly we have is our April assembly which is at a different time and place than usual – we’ll be having our April assembly at Hamilton House, Stokes Croft, BS1 3QY, at 10:45 on Sunday 15th April! We have a great assembly planned with Julie Casey coming to talk to us about ‘Dealing With Mr Angry: The Everyday Neuroscience of Conflict De-escalation’. Unfortunately due to the unforeseen snowy weather we have been having the past few days, we’re taking the precaution of cancelling our March assembly this Sunday. Due to the uncertainty of whether public transport will be running and the dangerous conditions of the roads, we’re hoping everyone will get this message and try to stay safe and warm on Sunday morning (and enjoy the snow if you’re inclined to do so!) rather than venture out. We’ll also post an update on all of our social media sites. Currently we’re unsure whether we will be able to rearrange for another weekend in March, but fear not, as we will be in touch as soon as we have more information! If you’re as heartbroken about this as I am, you can always look forward to our hopefully less snowy April Assembly – please note that this assembly is at a different time and place than usual – due to Easter, and the unavailability of the Trinity Centre in April. Our April assembly will be at 10:45am on Sunday 15th April at the Events Space in Hamilton House, Stokes Croft. Hope to see you all there! Finally finally, we’ll try and keep you abreast of things by emailing you on this email address so keep an eye out for further updates soon! Hope you all have a lovely March and stay safe! See you next month, and sorry for the cancellation! Thanks for a fantastic February Assembly! This month, we’ll be having our Chat and Plan at the Old Market Tavern (the same pub we visit each month after the assembly). Join us to discuss all things Sunday Assembly, get involved and help out with the running of SundayAssembly Bristol (hint hint, we’d love more help! ), or just listen and get a better idea of how everything works, and possibly a sneak preview of future assemblies! This month, after our monthly Chat and Plan, Sunday Assembly Bristol are headed to Bristol Museum. There are lots of exhibitions on: in addition to the large number of permanent exhibits, it’s the penultimate weekend of the Pliosaurus! exhibition if you’re up for a Jurassic jaunt, or there’s ‘Empire Through The Lens’ which should fit in well with this month’s theme of Breaking the Chain. Basically, there’ll be something for everyone. More details about what’s on can be found on the museum website. We’ll meet in the main hall underneath the biplane at 2 and then explore what the museum has to offer before a cuppa (and maybe some cake…) in the Museum café around 4. The trip is open to all, and there’s lots for kids to do too. Entrance to the museum is free, though donations are welcome and the Pliosaurus! exhibition is a pay what you want affair. Richard is organising and you can contact him by replying to this email or on 07816 271989 with questions etc. and you like Meetup, check out the Meetup event here. The Sunday Assembly Bristol Bimblers are branching out! This month, we’re heading to the highest point in the Mendip Hills – Beacon Batch. We’ll be starting from the car park nearest the cattle grid at the lower entrance to the gorge (https://goo.gl/maps/UvT79VeLHW32). The route takes us past the intriguingly named Rock Of Ages, several caves, before heading out onto moorland with what we hope to be impressive views out over the Somerset Levels. The Burrington Inn lies at the end of our walk where the traditional tea and (probably) cake can be purchased. The walk is just over 4 miles (7km for the more metrically minded) long, will likely be rather muddy and there’s some significant ups and downs (about two Avon Gorges worth) so please make sure you’ve got sturdy footwear. Dogs and children are welcome to come along, though there are rumoured to be ponies on the hill, so pups will need leads. We’ll be setting off at 11 from the car park. We’re working on car-sharing options at the moment as most of us will be driving from Bristol. If you’re in need of a lift or can offer one, or have any issues or questions, please drop us a message or contact Richard on 07816 271989. And the next assembly we have is our March assembly, on the theme of ‘Bee Positive‘ where Clara Montgomery will be talking to us about the positive charge of bees! It will ‘bee’ on Sunday 4th March at 11:00. The address is still the Trinity Centre, which can be found at Trinity Rd, Bristol BS2 0NW. This month, we’ll be having our Chat and Plan at the Old Market Tavern (the same pub we visit each month after the assembly). Join us to discuss all things Sunday Assembly, get involved and help out with the running of Sunday Assembly Bristol (hint hint, we’d love more help! ), or just listen and get a better idea of how everything works, and possibly a sneak preview of future assemblies! It’s a new year and the Sunday Assembly Bimblers are back and headed to Blaise Castle Estate. We’ll walk through the estate, along the river and little gorge there and perhaps see the Blaise Castle Hamlet along with the castle itself. The paths are good, parking free and there’s *definitely* tea available at the café. Quite possibly cake too. The walk will be about 4 miles and will have some uphill bits, and hopefully a view or two along the way. We’re pet and child friendly too. If you’re looking for a way to get to know a few faces before coming to a main assembly, this is a good option as we tend to be a small relaxed group. We’ll be meeting at the café by the car park at 11, whatever the weather. You contact the organiser (Richard) on the day on my phone (07816 271989). If you’re running late, let us know and we’ll do our best to wait for you. And the next assembly we have is our February assembly, on the theme of ‘Break the Chain‘ where Joanna Burch-Brown will be talking to us about Slavery, Reparations and Bristol. It will be on Sunday 4th February at 11:00. The address is still the Trinity Centre, which can be found at Trinity Rd, Bristol BS2 0NW. Thanks for a super chilled assembly! and if you like Meetup, the Meetup event can be found here. After the Chat and Plan this weekend, we’re going to feed our wonder neurons (which *definitely* might exist) with a trip to one of Bristol’s many museums, the alphabetically named M-Shed. We’re going to see an exhibition about the rather Victorian-sounding ‘Guild of the Brave Poor Things’. We’ll learn about the history of Bristol’s disability rights movement, and how his fine city came to be home to what is believed to be the country’s first purposefully-built accessible building. If we have time we might also drop in on the main exhibition hall below with all of its many riches. All are welcome, the exhibition is free (donations welcomed) and we’ll be heading for cake and a cuppa in a nearby café afterwards to discuss the exhibition and anything else under the Sun. If you’re looking for a way to gain a familiar face or two before going to your first assembly, this is a good opportunity for that as we’re normally a fairly small group and are very welcoming of newcomers. We’ll meet at 2pm in the entrance hall of the M-Shed. For the ambitious amongst you that are planning to come along to chat at the Chat and Plan earlier on the same day, at least one of us will be walking from the Old Market Tavern to the M-Shed at 1:30 pm. If you’d like to get hold of us on the day, you can contact Richard on 07816 271989. This Sunday (10th) we will be having fun and games with our annual Yule Rock – a festive sing-along special, which will be at Hydra Bookshop on Old Market Street (it’s next to the Old Market Tavern, and just a few minutes walk from the Trinity Centre). It will be a little different to our usual assemblies, with no main speaker. Instead, we’ll have a more laid-back event, with festive games, songs, crafts, and food – aiming for a lack of religiosity where possible (recognising this is more difficult than usual at Christmas time). The event will be especially child-friendly, with fun activities for children and adults alike! We’d also love for you to show off your cooking and baking skills by bringing along any Christmas culinary delights you’d like people to enjoy. There’ll be a small prize for the baker who creates the most scrumptious Christmas treat, so get practicing! And the next assembly we have is our January assembly, on the theme of ‘How to Win a Million Dollars’, where Sophie Stevens will be coming to talk to us about one of the Millennium Problems. It will be on Sunday 7th January at 11:00. The address is still the Trinity Centre, which can be found at Trinity Rd, Bristol BS2 0NW. We’re always looking for volunteers, so if you’ve just learned a new song on an instrument or fancy reading something personal in front of a great friendly crowd, just reply to this email. Thanks for a fantastic November Assembly! It should only take 5 to 10 minutes to fill in (depending on how many comments you have for us of course). All of your feedback is anonymous, and will only be used for the purpose of making Sunday Assembly the best it can possibly be! This month, we’ll be having our Chat and Plan before lunch at the Old Market Tavern (the same pub we visit each month after the assembly). Join us to discuss all things Sunday Assembly, get involved and help out with the running of Sunday Assembly Bristol (hint hint, we’d love more help! ), or just listen and get a better idea of how everything works, and possibly a sneak preview of future assemblies! Now that you’re fully versed in Bristolian from this month’s Sunday Assembly, how about getting better acquainted with Bristol and its surrounds? This month we will be exploring the Avon River Valley starting from Hanham. There’ll be rivers, valleys, trees, BAT CAVES, friendly humans, a puppy or two, and of course it wouldn’t be a Sunday Assembly walk without the prospect of tea and cake too. If you’re *really* lucky we might be able to find some Notices (oooh – ed.) to read out too. We’ll meet at the Conham River Valley Car Park (BS15 3NY) at 11:00 on the day and we’ll be walking for around 3 hours or so along the mostly flat, often muddy path by the River Avon. There is a pub (Old Lock and Weir) and a café/restaurant (Chequers) along the way for refreshments and toilets. It is a linear walk so the furthest we’ll be away from the cars is about an hour and a half. Being hardy Assemblers there will be at least one of us that will be going out whatever the weather! People (kids and adults) are welcome, as are pets. If you’re bringing along any dragons or other mythical creatures, please ensure that you have a qualified wizard handler on call for emergencies. The next main assembly we have is our October assembly, on the theme of ‘P-p-pick Up a Pengiun’, where Dr. Ali Cotton will be coming to talk to us about penguin conservation. It will be on Sunday 3rd December at 11:00. The address is still the Trinity Centre, which can be found at Trinity Rd, Bristol BS2 0NW. Further details will be emailed out closer to the day. As always, we love to get members involved with the assemblies, so if you’ve just learned a new song on an instrument or fancy reading something personal in front of a great friendly crowd at any of our assemblies, just reply to this email! This is Chair of Sunday Assembly Bristol signing off! …And that was our October Assembly! But wow, I can’t Believe It’s Octobutter already. Firstly, you are very warmly invited to our WANDER MORE trail walk on the 7th of October where we’re headed to Snuff Mills to see some of the wooded Frome Valley from Snuff Mills up to Frenchay Common, and back through Oldbury Court Estate. We might stop for refreshments at a pub or café along the way (we’ll take a vote beforehand to see). Meet us at Snuff Mills, BS16 1UH at 11 (expect it to take around 3 hours). The walk is dog, child and adult friendly (in order of preference). Then if you can walk after the eXtreme walk, on the 8th we have our Chat and Plan. This is at 12 on the Sunday at the Old Market Tavern (where we have post-Assembly meal so you should know where it is). All are welcome. As we said, we’re looking for some welcomers this month. If you’ve been to a Sunday Assembly before (or even if you haven’t), we’d love for you to get involved with the easiest job in the world. Just turn up 20 minutes before the Assembly starts and say hello to other Assemblers coming. Are you feeling ethical now? Thanks for coming along and helping us decide what the moral choice is in all situations ever! We’ve mailed our findings (along with a list of names) to the relevant authorities! Here is a (slightly long) list of our upcoming events between now and the next assembly! All of the events are free, but as always, donations are appreciated where possible for some of our events! Sunday Assembly Bristol have teamed up with the Hydra bookshop/café to put on an evening of entertainment in the hope of raising some money for both. We planning an open mic night for the first part – everyone welcome, whether music or spoken word. We also have two featured artists to headline the night: Rohan (playing a mix of originals and covers) and an energetic contemporary folk duo – The Troll Hunters – to finish the night on a high. It should be a fun evening! The Meetup event can be found here. This month, we’ll be having our Chat and Plan meeting over lunch at the Old Market Tavern (the same pub we visit each month after the assembly). Join us to discuss all things Sunday Assembly, get involved and help out with the running of Sunday Assembly Bristol (hint hint, we’d love more help! ), or just listen and get a better idea of how everything works, and possibly a sneak preview of future assemblies! If you have some wool and some will, join us for Sunday Assembly Bristol’s brand new Club! To allow more people to test and try this cool site we will have a period of walk-in all day clubs. You may choose when and for how long to join us for. These will run on alternative Mondays and Tuesdays throughout September, the next session being on Tuesday 12th September. Keep an eye out on Facebook and Meetup for the events on Monday 18th and Tuesday 26th also (same time and place). We’re trying something a little different this month, with a new take on our second assemblies now becoming Mini-assemblies, with a more intimate venue and laid-back format, with some group discussion! The full details of what we all know will be another fun assembly, will be added to the Facebook and Meetup events soon. The next main assembly we have is our October assembly, on the theme of ‘A Sight to Behold’. It will be on the 1st of October (Sunday) at the time of 11:00. The address is still the Trinity Centre, which can be found at Trinity Rd, Bristol BS2 0NW. Further details will be emailed out closer to the day. Thanks for a great four years! We’d love for all of you to get involved in helping us run Sunday Assembly. That’s why we’ve got a very casual and laid back Chat and Plan on the 7th of July. It’s at the Hydra bookshop in Old Market (just up the road from the Old Market Tavern), and we’ll be getting there from about 12:30, and we would really appreciate meeting some lovely new faces! The next Fun Size Assembly is 16th of July, at Hamilton House at 10:45. If you’ve come to this before, you’ll enjoy seeing us build up a brand new experience from what feels like the ground up. If this is going to be your first time coming, then prepare yourself for a nice, warm friendly Assembly with incredible food provided by the Canteen downstairs. And the next Full Size Assembly we have is on the Tales of England, where we will have Jen Roberts coming to talk to us about tales of England, and we’re going to have some great songs (probably Danny Boy) and some excellent British cakes (probably scones, pronounced so it rhymes with gone – if you disagree, please drop us a message, we’d love to understand why). Thanks to all of our contributors; Vicky Anderson, Deborah and Rob Egginton. still looking for someone to do a quick reading on this so if you’re interested get in touch with us. We’re also hoping to have another assembly in May so keep an eye out for things. drop us a message or comment if you’re interested and we will get back to you. Looking onwards, we’ve got quite a busy month for you. First, on the 19th we’ve got our much vaulted and exciting 2nd Assembly, at Hamilton House in Stokes Croft. Expected to be exciting, challenging and substantially warmer than the last 2nd Assembly we had which was also in Stokes Croft. It’s on the theme of How To Argue and we’ll see you at 10:45 for an 11:00 start. Interesting stuff. This is going to be on the 2nd of April, at 10:45 for an 11:00 start at our old friends the Trinity Centre. Finally, in this email, you are warmly invited to our monthly chat and plan where we organise the next month’s Sunday Assembly. This is actually on a SATURDAY and not a Sunday, our apologies for misleading you. The reason for that was that the day we had planned (26th of March) is Mother’s Day and we wouldn’t want to clash with that. So here is your 2 week warning for Mother’s Day. It’s probably not too late to book a table for her. Thanks for a great start to 2017! Thanks to everyone who turned up – it was a great turn out for the first Assembly of the year! So we want to thank you because Sunday Assembly only works if we have people to share in it with us. And the next assembly we have is our February one where we have Bristol Refugee Rights. And don’t forget to sign up to www.helpfulpeeps.com and start helping people in your community! Enough of this monkeying around – time for some DINOSAURS AND DRAGONS! Thank you all for coming to the last assembly where, you will remember, we sang a lot of songs about monkeys, we heard someone talk about monkeys, and we yelled loudly like we were monkeys (that was weird wasn’t it?). But what a great assembly – we nearly had more people attend than ever, and we had the highest number of new people at any assembly! You can Subscribe to all our events by going to Events in the middle, and then Subscribe. We recommend you do this as it helps you get invited to stuff we’re doing. Finally, for our super slick website, you can go to http://sabristol.org.uk/ (you’re on this at the moment, hopefully). Finally finally, we’ll try and keep you abreast of things by emailing. If you want to be emailed, please put your email address in the sign up section on the bottom right of the website. Thanks to the Bristol Cable who gave us the publicity and helped us get our message out there. To help you WONDER MORE this month, Bristol City Council and Arts Council England have put on the Bristol Festival of Ideas throughout November for us. Is Innovation Good for Us? You can fill a shoe box sized box or a rucksack (preferred!). Please clearly label the box with contents and if you intend for your box to be for a man or woman. Most boxes should be male, as there are more homeless men than women. Please tape 50p to the outside of the container, to cover cost of van hire (this is for the homeless appeal, not SA, and any remaining money will go to local homeless charities). Clothes or bedding that do not fit in your shoe box/ rucksack, except for clean sleeping bags. Please bring your box or bag to the next assembly and we’ll get them to the charity. If that didn’t pique your interest to come along, we’ve got Nathalia Gjersoe who is a senior lecturer in developmental psychology at the University of Bath, and has written for the Guardian, and will actually be performing at the Sunday Assembly for her second time. Expect pop songs, cake (please don’t forget to bring cake) and, hey, you might even learn something. And, hey. There’s been some events recently that might make people feel isolated. If that’s you, please drop us a line and we’re happy to have a chat. Well who knew that a Windows update could cause so much hassle! Anyway, we bounced back and we managed to pull out all the stops and put on a great show. We hope you found it as exhilarating as we did. 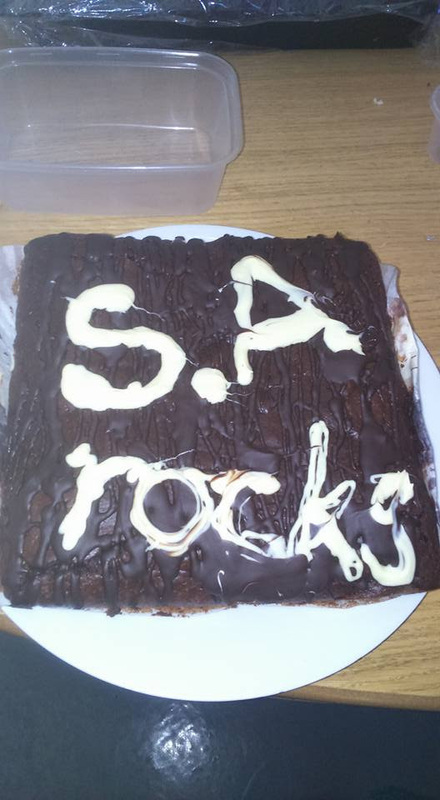 winner of the Great SAB Bake Off is …. 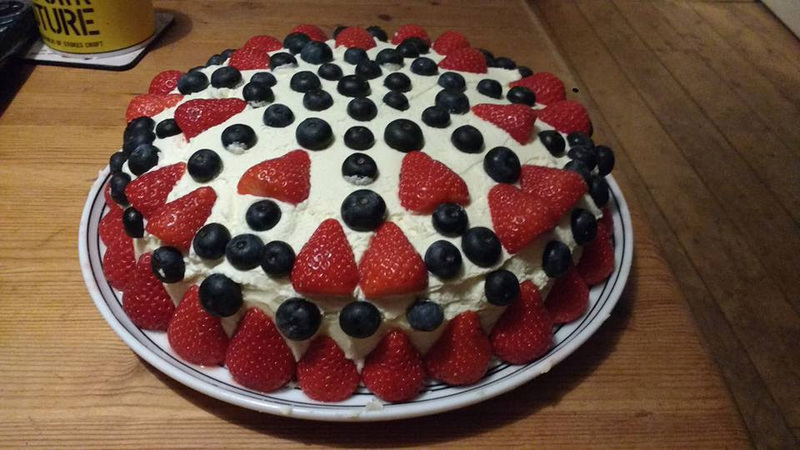 Rohan Chadwick for his completely flawless Victoria Sponge with cream and fruit topping. It tasted as good as it looks. Right, final thing for today is that if you haven’t already yet, please take a couple of seconds to fill out our Survey which you can find here – apologies, we’re not going to be sending you sweets through your computer for the final question, and please don’t come to our house asking for a sweet, but if you give us the secret code “Jubilant Weasel” at the next assembly we’ll make sure you get your sweets. Wowee monkeys are a lot of fun. It’s *bananas* how much fun monkeys are. And it’s true that in a very real way, we are the monkeys, and people do indeed say that we monkey around. 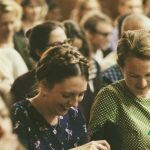 If you’ve been to Sunday Assembly Bristol, you know what kind of fun to expect – songs, a talk (which this month is coming from star of BBC’s “Attenbourgh and the Giant Dinosaur” and “Secrets of Bones”, Ben Garrod). There’ll probably be a reading, some jokes, an inspiration to live the one life we know you have as well as possible. If you’ve never been to Sunday Assembly before, I’ve basically outlined what’s going to happen above. And you’ll get to high five a bunch of people as well which is pretty nice. If you have been before, we’d love to have you at our Welcoming stand. If you’re able to say hello to people for about 20 minutes you’re already qualified for the role, so just comment on here and we’ll be chuffed to have you on board. Right, final thing for today is that if you haven’t already yet, please take a couple of seconds to fill out our Survey which you can find here – apologies, we’re not going to be sending you sweets through your computer for the final question, and please don’t come to our house asking for a sweet, but if you give us the secret code “Jubilant Weseal” at the next assembly we’ll make sure you get your sweets. And the next assembly we have is our October one [Side note; how is it nearly October 2016 already? I can’t believe it’s Octobutter] where we have a talk on night schools, towards a radical re-think of our whole higher-education system! Sunday Assembly on the radio! News just in! Kinda. Turns out there’s a radio programme about Sunday Assembly (the whole movement, not Bristol specifically, in case you’re non-Bristolist) on this week – more details here. What’s Better Than One Assembly a Month?! This month we’re doing something exciting! We’re trying a SECOND ASSEMBLY! For the time being, we’re referring to it as the 1st 2nd Sunday Assembly of the month because we love over-worded explanations. And we love the Moon, which is why we want this assembly to Shoot For The Moon. And as if that wasn’t crazy enough, we’re trying a new location too! How cool is that?! And if you’re still keeping up, we’re doing it EARLIER as well. Do try and come along, and invite people who haven’t been because the first Sunday of the Month doesn’t work for them – if this one is a success we will keep it going! Also we have got our regularly expected main Sunday Assembly, at the Trinity Centre at the normal time of 11:00 GMT on the 7th of August. And it’s called Colour Me Assembled. So, you hit level five in Pokémon Go and you’re struggling to choose between Red, Blue and Yellow. Don’t worry, we understand. That’s why we’ve invited science communicator and laser-appreciator Euan Allen to help us out with a talk titled Colour in Nature, which, if it’s not about where to find CP 800 Dragonites, will probably explore the amazing and ingenious ways organisms use colour and the practical technological applications that come out of them. For those of you who haven’t got into Pokémon Go, it’s like collecting football stickers, except the football stickers are all over the country and you use your phone to find them. But that’s not important right now. Also, turns out there are loads of songs about colours. Come along to hear the four we think are best. See you tomorrow at Cafe Kino, at 10:30, and then on Sunday the 7th, at the Trinity Centre at 11am. Hello, just a quick word of warning that while we try and add a forum to the site there may be some issues with the main site – doing our best to avoid anything going wrong, but you can never be certain! Hopefully there’s won’t be any major issues and we will sometime soon have a forum to get involved with! “Not a day goes by without supposedly scientific claims being made about almost every facet of our lives. Whether it’s how we can live healthier lives, reduce crime, improve education, or cure disease, we’re constantly bombarded by supposedly scientific claims from the media, retailers, and politicians. But how can we separate the genuine claims from those that are false? The answer is simple: by asking for evidence. The great thing is that anyone can ask for evidence. You don’t have to be an expert, or a lawyer, or a Pulitzer Prize-winning journalist to challenge someone to justify their claims. That’s the message of the Ask for Evidence campaign, which is run by the charity Sense about Science. We want to encourage all members of the public to hold people and organisations to account for the claims that they make. It really is very easy. If you see or hear a claim made by any public figure or organisation, ask them to show you the evidence that supports their claim. We’ve even set up a website (www.askforevidence.org) to make the process go smoothly. You can create a log of where you saw the claim (pictures are especially helpful), and email the person responsible using our email template. If they send you some evidence, you can pass this on to the team at Sense about Science, who will be more than happy to help you interpret if the evidence is reliable or not. If you’ve asked for evidence in the past or do so in future, please share your story with us at www.askforevidence.org or on Twitter using the hashtag #AskforEvidence – we’d love to hear from you. The website also contains straightforward information about what constitutes reliable evidence, and Sense about Science have published a series of “Making Sense of…” guides on complex scientific topics including Climate Change, GM foods, and Statistics, without all the usual jargon. Gardening in miserable weather is actually really fun! I’d been meaning to go to help out with the garden at the Trinity centre so many times, as I support Sunday Assembly’s “Help Often”/community building/doing good attitude, plus helping others and exercise are both things that make me (and most humans) feel good…but…BED. SO. COMFY. Despite the dismal near-gale force winds, on Sunday 29th March 2015 I forced myself to leave the nice warm house. After expecting to be the sole mad/super determined person and to head straight home, my pessimism was delightfully proven wrong as Claire, one of the lovely people there, welcomed me with the offer of a hot drink. She then asked me how physically taxing a task I would like and I opted for redistributing a vast pile of bark clippings to their proper place – covering a muddy path. When I pointed out my poor choice in footwear, Claire offered me some wellies, as well as raincoats and gloves. After a quick bit of safety advice, I set to work. The garden is reasonably sheltered from the aforementioned miserable gales, and the work kept me plenty warm enough. It felt good and relaxing to be outdoors after the winter and a week at work. As someone who’s only access to plant maintenance is a miniature potted Christmas tree, it was refreshing to be able to do some gardening! I had the opportunity to meet and chat with some nice people, and their kids. When the small people weren’t trying to remove the chippings from my wheelbarrow – “you’re destroying the ice castle! !” -they were having a great time on the playground. After a few hours, the snacks provided were starting to look pretty tempting, but I feared I’d have to flee to acquire some food when I was informed that lunch was ready! One of the volunteer jobs is to cook food for everyone, including vegetables from the garden, so ten of us sat down in a volunteer-built hut to eat some curry with broccoli from the garden – and nettles! Delicious, and very sustainable! Unfortunately, I couldn’t stay any longer but I had a great time, felt like I’d done something useful, and am definitely glad I’d dragged myself out of bed! Our stoic Try Something New members reassembled in October to continue their mission to experience every hobby ever invented. This month, to get us in the mood for November’s Imagination assembly, we dragged tabletop roleplaying out of its basement lair, dusted off the crumbs, and sat it in the Hatchet for a few hours of ridiculous fun. After a short time designing characters, our players holstered their dice and stepped foot into an imaginary world, thwarting a dungeon and liberating a goat, but ultimately failing to stop an apocalypse. The benefit of situating events in the realm of PURE IMAGINATION is that we can tick off a lot of other hobbies and experiences at the same time. In one day alone, we Tried Out: Swordplay, cupcakes, animal husbandry, mass hallucination, recreational firebreathing, knot-tying, and murder. I was really worried about how we’d get that last one done, so huge relief all round. Next month we’ll be continuing our Saying Things In Silly Voices series by dipping our toes into acting! Full details are available on the Facebook event. Picture the scene: ’twas mid-April in Bristol, and the evening of our very first Peer Support ‘smoup’ (small group). I arrived ten minutes early at our top-secret location near the city centre, and settled myself with a little handwritten sign on notepaper: Smoup! Then I waited. Maybe nobody would come. What if nobody ever came?